Design Team | Stamp Right Up! Just wanted to share with you my latest design team post for Scrapbooks By Design. I love that a lot of the holiday stamp sets from Lawn Fawn can be used throughout the year, and Baaah Humbug is just one example. I recently attended the CHA Paper + Arts expo in Shaumberg Illinois just over a week ago as part of the Scrapbooks By Design team. It was a great experience and I got to see a LOT of sneak peaks from brands like Sizzix, Penny Black and Echo Park! At the expo I had an opportunity to attend a workshop hosted by the Graphic 45 team to create a mixed media album using the Guilded Lily collection. The workshop kit included everything I needed to make the gorgeous album, and it was surprisingly easy to make too! As my reader know, I tend to lean towards the ‘cuter’ side of things, with Lawn Fawn etc, so I didn’t think I was capable of making something so lovely. The Graphic 45 design team created a beautiful project, which I created as a Scrapbooks By Design design team member. I am happy to announce that I am the newest member of the Scrapbooks By Design team! For my first design team post, I created a sequin shaker card using Newton’s Nook stamp set with some Lawn Fawn patterned paper and dies. I love the look of shaker cards, and I found the perfect way to get the sequins to sit correctly and not get stuck was to use ‘fun foam’ to pop up the window instead of pop dots or foam tape. I used to have trouble with the sequins getting stuck in the corners when I used pop dots or tape – I find those work best for square or rectangle sequin window shakers. The background I created using a watercolor brush and Lawn Fawn’s Wild Rose ink to match the patterned paper I chose from the 6×6 Let’s Polka Mon Amie paper pad. 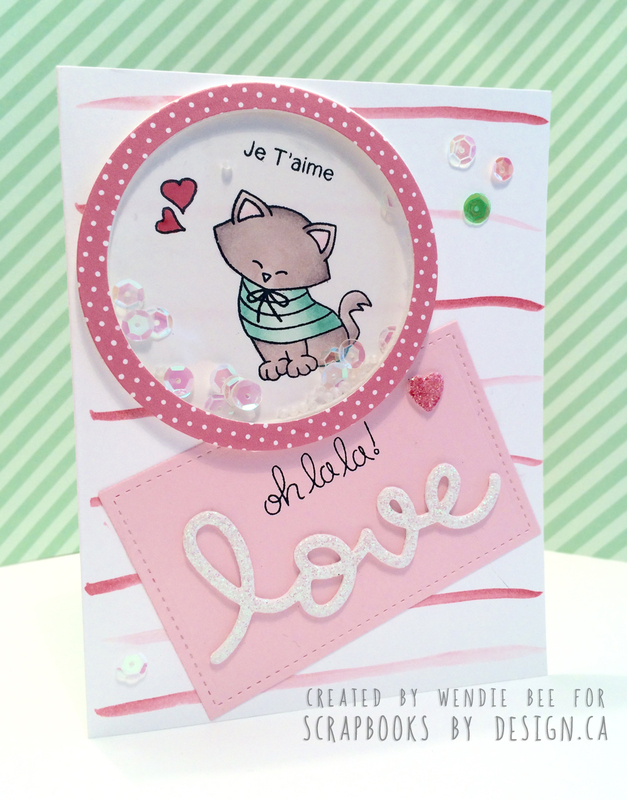 I hope you like the card – I am always happy to share techniques or measurements, just leave a comment. Each and every comment is welcome and appreciated!